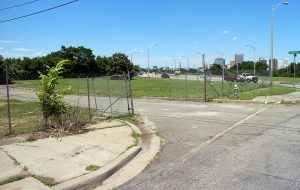 A recently rezoned tract near the Lee Bridge has lured an out-of-town developer for its first project in Virginia. Ohio-based Brickhaus Partners is under contract to purchase the 2.2-acre tract on the west side of Cowardin Avenue at the southern end of the bridge. The deal transfers the contract previously placed on the property by local developer Jeremy Connell, who had the land rezoned this year to the city’s RF-2 Riverfront District, a classification that allows for single-family homes, duplexes and multifamily buildings. Brickhaus principal Andrew Brickman said his firm is well-capitalized to bring a mix of residences that may include apartments and townhomes. He said the Cleveland-based firm is mulling density for the site, views from which he said make it attractive for development. The property consists of five parcels at 1701 Stonewall Ave., 700 Cowardin Ave. and 701, 705 and 715 W. 19th St. A city assessment most recently valued the parcels at $2.8 million. Connell, whose developments in nearby Manchester include the 7West townhomes along West Seventh Street, placed the site under contract nearly two years ago in a deal with Charlotte-based development firm Northwood Ravin. Northwood Ravin purchased the land in 2011, picking up a stalled project called Manchester on the James that previously was approved for 200 apartment units. The project never materialized, and the company attempted to unload the property in 2013 and again in 2016 before Connell approached the firm with an offer to buy. Connell rezoned the site last summer, a change that allows for buildings up to 13 stories in height. Proffers included with the rezoning restrict building heights along 19th Street to 35 feet. Connell said he then was approached by Lory Markham, a local land-use consultant and One South Commercial agent, about Brickhaus’s interest in entering the market. After doing some research on the firm’s portfolio, which includes residential, commercial and hospitality development, Connell said he was ready to enter into an agreement that assigned the purchase contract with Northwood Ravin to Brickhaus. Brickman said Brickhaus hopes to close on the site by year-end and break ground on a project by summer 2019. 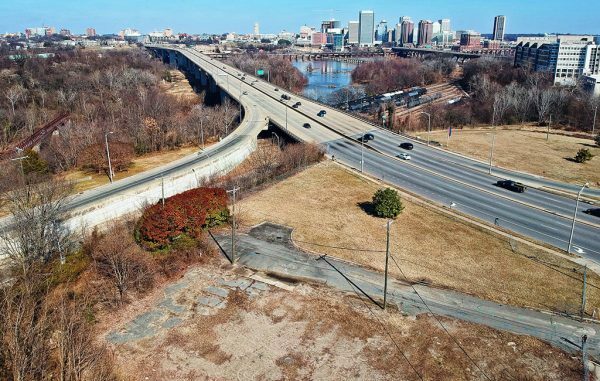 While the firm is making a push to complete similar deals in other metros, including Northern Virginia, the Lee Bridge site would be its first project in Virginia. Aside from the Manchester site, Brickman said the firm, with the help of One South Commercial, is preparing to place two additional properties in the city under contract. He would not disclose where those properties are located. Brickman is familiar with Richmond. His brother, Tom, owns Brickman Interiors, which has designed space for several restaurants throughout Richmond, including Pasture, Salt & Forge and Nota Bene. He also designed the tap handles for Ardent’s tap room in Scott’s Addition. Brickman said his firm is eyeing those neighborhoods as well. “We’re looking at it all,” Brickman said. “Church Hill, Scott’s Addition and the central business district are all attractive to us. Brickhaus’s deal adds to other investment occurring at the Lee Bridge near Manchester. Across the street from the site, LIV Development is proposing a seven-building, 289-unit community on 15 contiguous parcels totaling about 7.3 acres at 1400 Railroad Ave.
1 Comment on "Ohio firm has Manchester land under contract"
The Semmes Avenue corridor is literally exploding with newly announced developments,from the Lee Bridge to 7th Street. How long before we see the old tobacco warehouses razed in favor of a new shopping center?